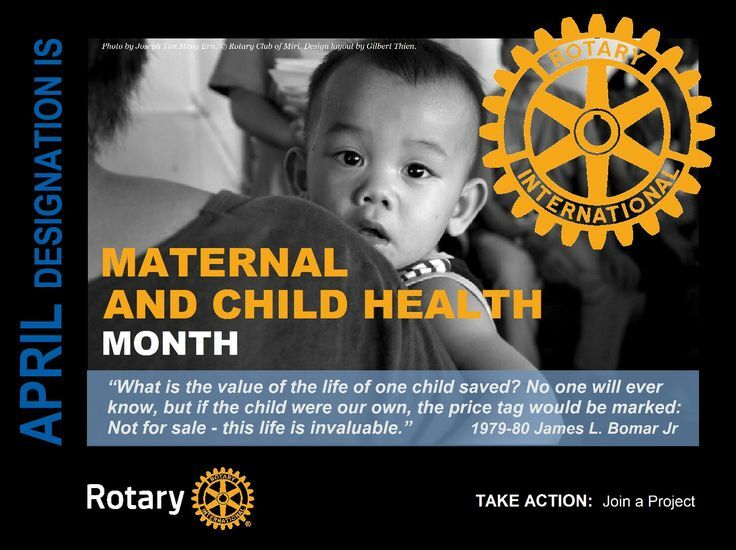 Rotary International's new monthly theme for April is Maternal and Child Health! Every day mothers risk their lives giving birth and millions of children die each year from treatable, preventable causes. At least 7 million children under the age of five die each year due to malnutrition, poor health care, and inadequate sanitation. To help reduce this rate, Rotary provides immunizations and antibiotics to babies, improves access to essential medical services, and supports trained health care providers for mothers and their children.